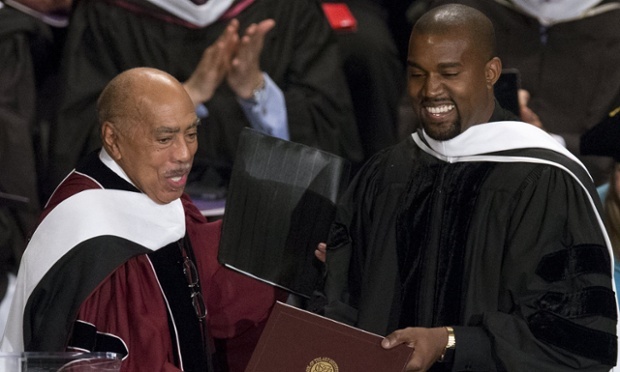 Kanye West was awarded an honorary doctorate degree from the School of the Art Institute in Chicago today. West who is the self-proclaimed and world renown “College Dropout” reached something that is an achievement for anyone, especially someone in the limelight such as himself being known for his outlandish acts or “rants” in recent years. If you ask me there is a very long list of accomplishments Kanye has whether it be his 21 grammys or being named one of Time Magazines 100 most influential people just to name a few, Earning this has to be amongst the top of the list. Next Post: Been servin that ether before I did features…….